Click Pieces in the left-side menu. Click the gray + New button. Click Choose Files and select files from your computer. 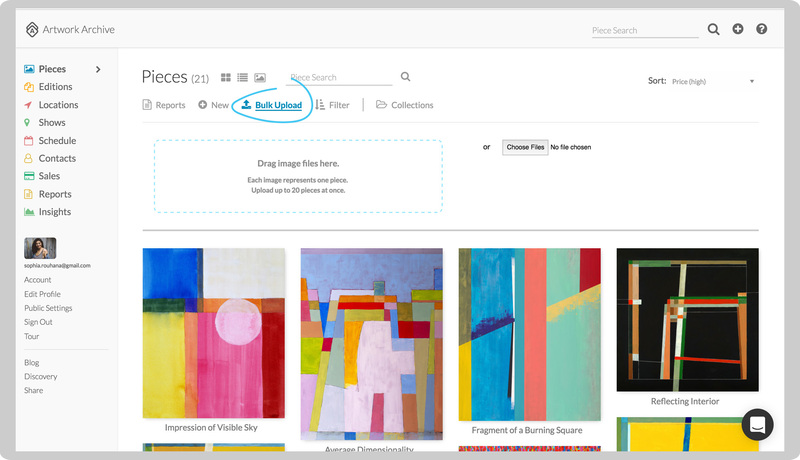 You can also drag up to 10 detail shots or images from different angles to support that piece from your computer in the Drag Files Here box. Select an image to make it the Primary Image for this Piece. Add in the Piece information you want (only the title is required, but we recommend recording price, size, medium, and a brief description, too). Scroll down and hit Create Piece. NOTE: To change your Currency and Sizing Units click Preferences in the left-side menu. Select your desired Currency and Sizing Units and click Save Preferences. 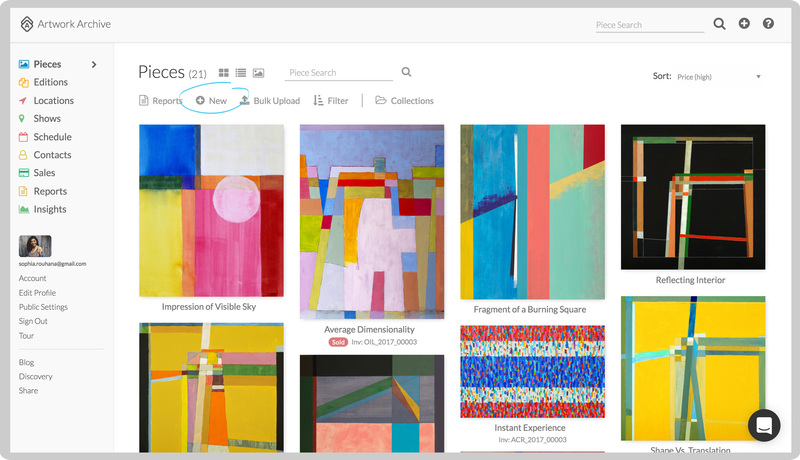 You can add multiple pieces at once with their image and title. Click Pieces in the left-side menu. Click the gray Bulk Upload button. 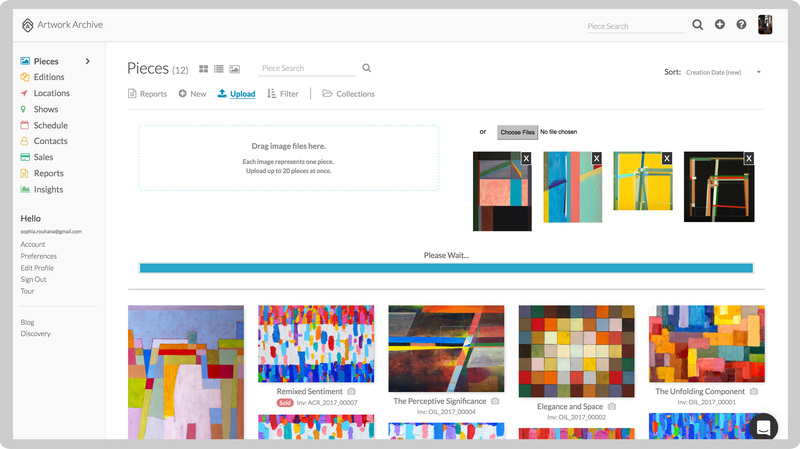 Simply drag and drop multiple piece files to the Drag image files here. You can also click Choose Files and select files from your computer. Each image file will instantly create a new Piece on the site. After the upload is complete, enter the Piece’s information and click Save Pieces. 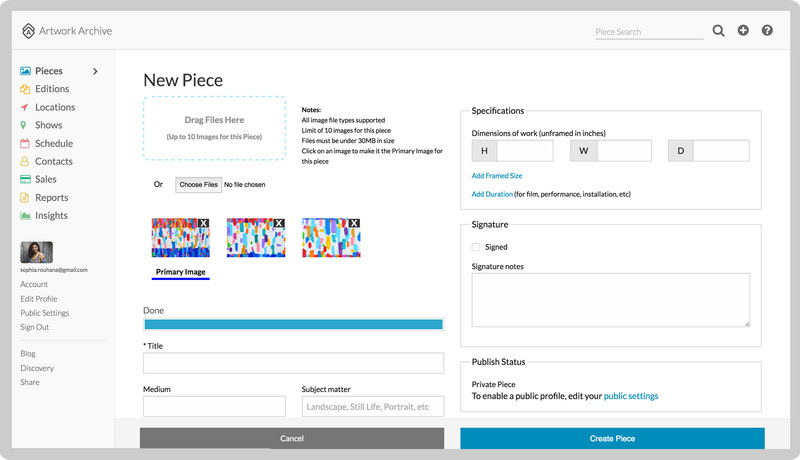 You can also go to Pieces and edit each Piece to add more information.